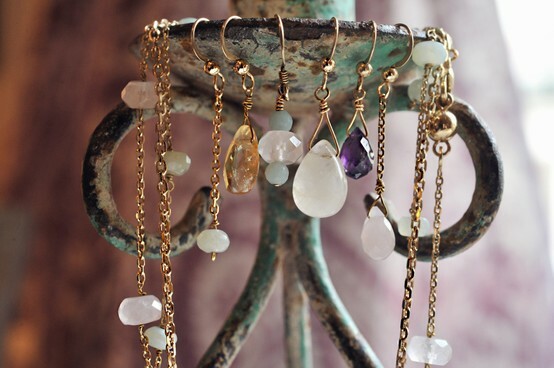 Vida Jewellery is hand crafted in London with the gemstones sourced from all around the world. Their Diamond Collection is supplied from Jaipur, India. Semi-precious stones make an exquisite gift from Mother Nature herself with all her magical and healing minerals properties. All the pieces are designed or hand picked by Milly Rueda. The Diamond collection features Aurelia earrings which are gold plated earrings with a detailing of flat diamonds. This pair I came across whilst dipping into Vida Jewellery box was a pair of Josefina earrings which are elegantly shaped with a detailing of tear drops of flat diamonds. Butterflies come to my mind when I saw a pair of Carolina earrings which are studs of a shaping of flat diamond butterflies, which are shaped with golden plate giving these earrings that characteristic of a butterfly shape. The diamonds continued through the dipping of exploring this elegant jewellery box. Gracefully accessories of rings came through which, created the vision of feelings of elegance which was portrayed through the Maria Grace Rings. Which have a detailed shaping from the golden plate which creates a small shaping of leaves of flowers which are filled with flat diamonds. Necklaces can make a statement of an accessory with any outfit. Vida’s necklaces have the small little touches a necklace needs to create the accessory statement, without making it a bold feature. In other ways Vida’s necklaces just have the correct touch of softness whilst adding a detailing of beading of flat diamonds and rubies, all around a gold soft plate chain. Vida’s Jewellery line of gemstones add that extra bit of softness again which flows through after looking at the necklaces. Typing about necklaces the first product which caught my eye is a Quynh Sola necklace which has the featuring of amazonite, citrine, and rose quartz stones with a gold plated chain with a measurement of 18 inches. 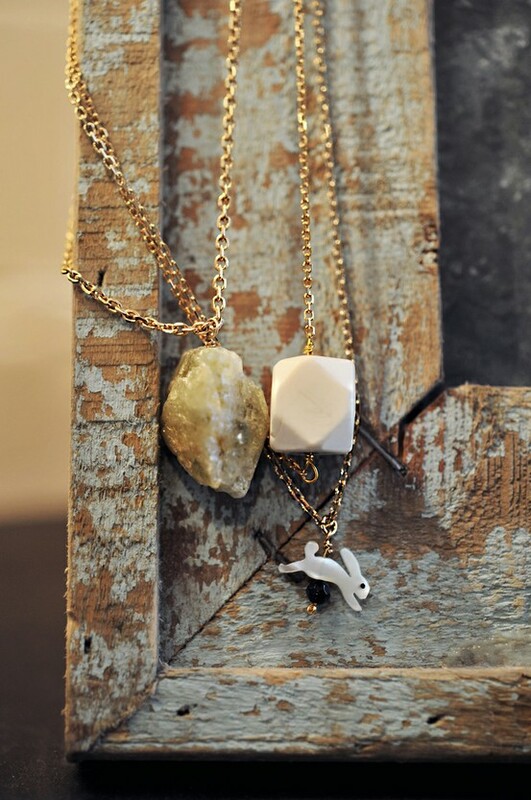 This necklace is perfect for adding that extra softness to a white tee or any spring and summer garments. From the collection this is one of my favourites because, this necklace brings a playful side to the collection along with adding a youthful side to the piece which is perfect for any genre of a person wearing the necklace. This necklace is called the Nacar charm necklace which has the little featuring of a rabbit, bird or dog nacar charm and a blue goldstone. I love it! Vida’s divine mother bracelet features the craftsmanship every piece needs. This is down to how the piece of jewellery is structured. 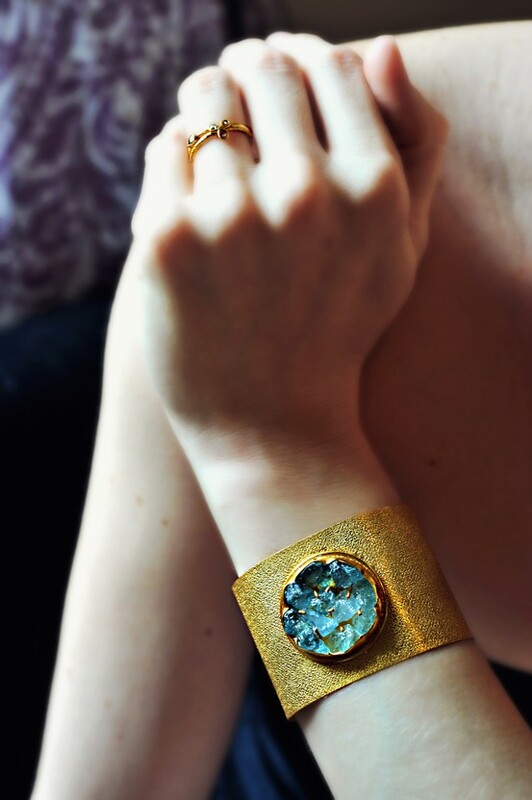 This divine bracelet is a knitted gold platted bracelet, with a detailing of aquamarine. Vida also offers a relaxation and inspirited creative with their yoga classes, to all ages and levels at studios, offices, and schools across London. They offer 1:1 classes at your home. Vida also combines a variety of asana styles from several yoga schools. Discover your joyful essence with allowing yourself to relax and tone up, with the ancient teachings of expressions relevant to our modern world and urban lives. Enjoy the simple, organic pieces and their unique references to ancient tribal art forms with Vida Jewellery by dipping yourself into their jewellery box and dipping your soul into relaxation of your joyful essences.